When you’re done on the course, relax with great food and drinks in a casual atmosphere with spectacular views. The menu features burgers and other pub fare. Open seasonally. 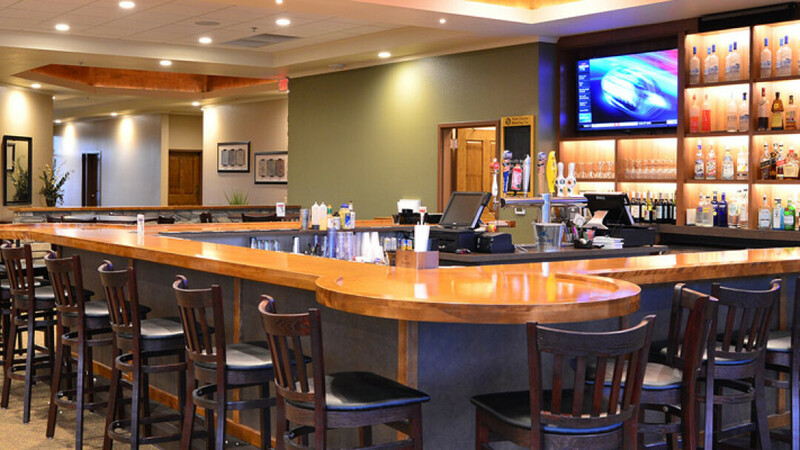 This "19th Hole" clubhouse bar, which was remodeled in recent years, is just down the hill from Wild Ridge and is known for its great view and friendly staff. Its outdoor patio is popular in summer, along with its bean bags and putting green games. There's a bar and grill menu, free popcorn, six taps, 10 specialty beers, regular drink specials, and a party room that can hold about 100 people. Open seasonally.